Brief description: Clients come to me with many different problems, such as relationship issues, anxiety, depression, trauma and loss being just a few. I have by now had many years of supervised practice. Qualification: Acc Dip Therapeutic Couns, CSM/CCBT Primary Cert CBT, Cert Life Coaching, Training in Substance misuse, Survivors Network, bereavement counselling. Brief description: Counsellor with experience of working with people of all ages based in Seaford, East Sussex. specialism: Children and Adolescent; Identity; Relationships (singles and couples); Bereavement and Loss; Eating disorders; Addiction. Qualification: BA, MA, PGCert Counselling, PGDip and MSt in Psychodynamic Practice (University of Oxford). Brief description: I’m an integrative counsellor which means that I use different counselling approaches in my practice, my main approach is person centred which is about allowing you to make your own choices! specialism: Depression, Anxiety. Dieting mindset. Qualification: MBCT facilitator 2009 from Oxford Mindfulness Centre, Family Constellation Group Therapy facilitator course completion certificate 2008. Brief description: NICE-recommended Mindfulness Based Cognitive Therapy 8week course facilitator. Family Constellation Group Therapy (FCGT) facilitator. Brief description: I am a BACP Senior Accredited Counsellor/Psychotherapist. For more than 20 years I have specialised in brief therapy, which generally helps people make considerable changes within 5 sessions. specialism: Anxiety, Depression, Relationship/ Couple, Bereavement, HIV/ AIDS. Brief description: I’m a medical doctor, with a long-standing interest in Buddhism and psychology. 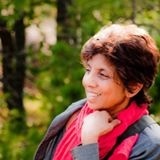 I have graduated in Core Process Psychotherapy with the Karuna Institute (http://www.karuna-institute.co.uk/). specialism: Core Process Psychotherapy combines Western approaches to psychotherapy with the wisdom and awareness of Eastern philosophy, providing a contemplative and psycho-spiritual approach. Brief description: I have been working as an Integrative counsellor for over ten years. I am a registered member of BACP and abide by their Ethical Framework for Good Practice in Counselling and Psychotherapy. Brief description: *** Accredited, Bilingual Counsellor and Supervisor *** I work Online via Skype/Zoom and face to face in the Brighton and Hove area. *** Over 15 years experience. Brief description: Experienced Counsellor & Psycotherapist working with individuals and couples based in Hove. specialism: Anxiety and depression, stress, bereavement, loss, alcohol issues and low self esteem. Brief description: Daytime & evening appointments. Trained Mediator. Quiet location, easy parking. I am also a School Counsellor. Brief description: Counsellor working with adults and young people based in Hove and Worthing.